Drivers who want to feel a connection with their car opt for a manual transmission; automatics are fine, but they just don’t offer the same driving experience a manual transmission does. In honor of the manual transmission, which is beloved by few and avoided by many, the editors at U.S. News & World Report put together a list of the 22 best cars that offer an unparalleled driving experience made possible by a manual transmission. “Working the clutch, accelerator, and shifter in harmony with the heartbeat of your car is an experience that you won’t ever get from an automatic. If you want the ultimate sense of control over your car, a manual transmission is still the way to go,” writes U.S. News & World Report Writer John M. Vincent. 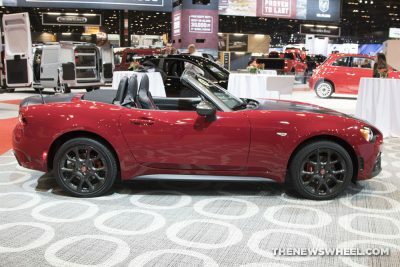 Easily securing a spot on the pub’s list is the 2018 Fiat 124 Spider, which offers a six-speed manual transmission. Although the 2018 124 Spider churns out lowish horsepower ratings, according to Vincent, the manual transmission is the best way to fully experience the Fiat 124 Spider’s smooth and turbocharged performance. “In our rankings of sports cars, the Fiat earns a slot in the middle of the pack. If you’re looking for a touring roadster, you’ll be happy with the Classica or Lusso trims. 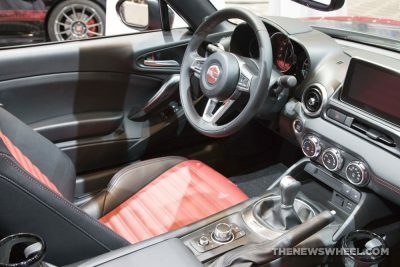 Drivers who want to travel at a brisker pace through the corners will want to opt for the Abarth, with its upgraded suspension,” he reports. 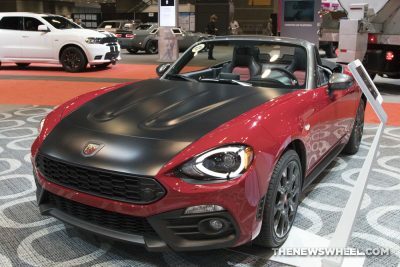 All three trims of the 2018 Fiat 124 Spider are equipped with a 1.4-liter I4 MultiAir® Turbo engine; the Classica and Lusso are rated at 160 horsepower and 184 lb-ft of torque, and the Abarth trim is rated at 164 horsepower thanks to its upgraded exhaust.